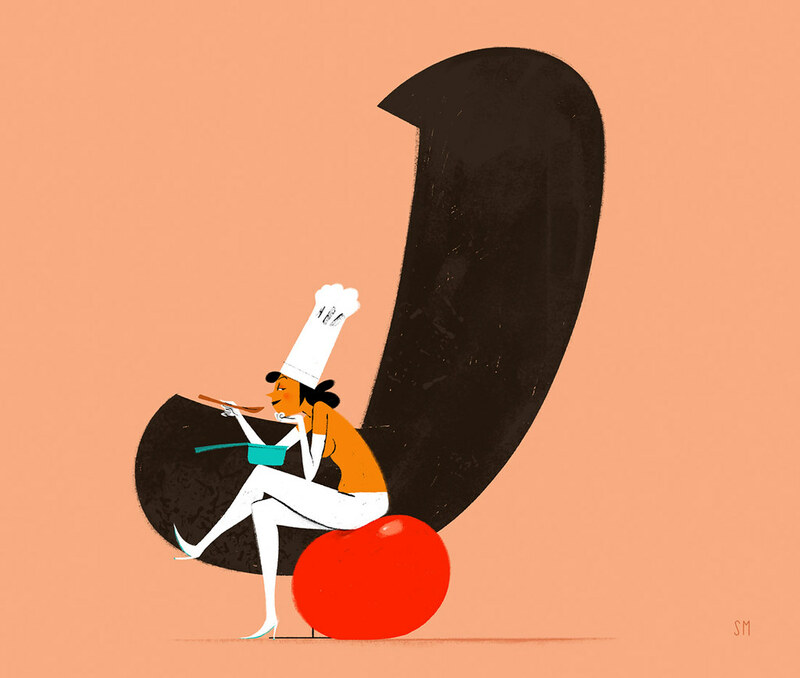 Simone Massoni is an Italian illustrator with a deep appreciation for typography. He runs the website chicksandtypes.com where he likes to pay homage to some of his favorite fonts. In past months well known typefaces like Meta, Archer and Matrix – among others, have been interpreted pairing each font with the illustration of a sensual woman that – in Massoni’s view – embodies the typeface’s attributes. Last month it was the turn of our font Tomate and Massoni created Justine (a reference to a Spinvis‘s song) as its companion. We are glad Tomate has been included in such a beautiful website and that a talented artist found its contours inspiring. Thanks a lot Simone! and keep us updated about your projects.